April Daring Bakers Challegne – English Puddings | eat. play. sleep. This was definitely a daring challenge, but I’m sad to say I was only able to moderately complete it. This month has been rather insane, so I really didn’t have time to try all of the variations that I wanted to. What’s daring about an English Pudding? Well…first, it’s knowing what a pudding is: something cake-like that is steamed for several hours and contains suet, or beef fat. I’ll admit…I’m one of the most daring eaters that I know, and there was no way I was going to try using suet in my dessert. Esther gave us a few options for savory puddings (basically, a meat filling wrapped up in a suet based pastry crust), but as I said, I just didn’t have the time to try all of the variations. 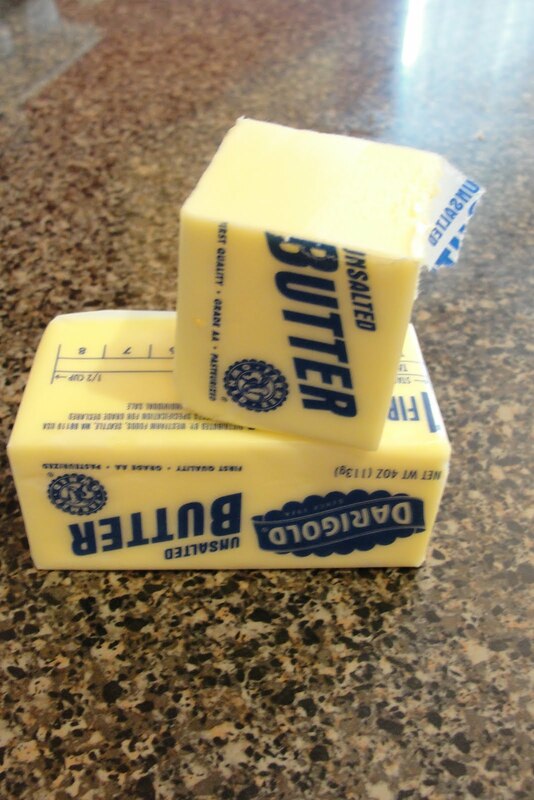 Luckily for vegetarians and non-daring folks alike, there were a few options to use butter or shortening. 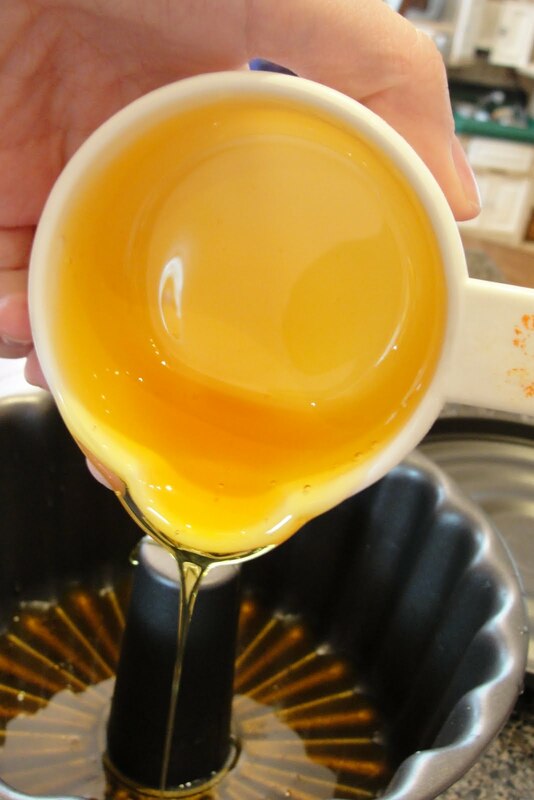 The process for a sweet pudding, is actually pretty easy, once you have the right equipment. 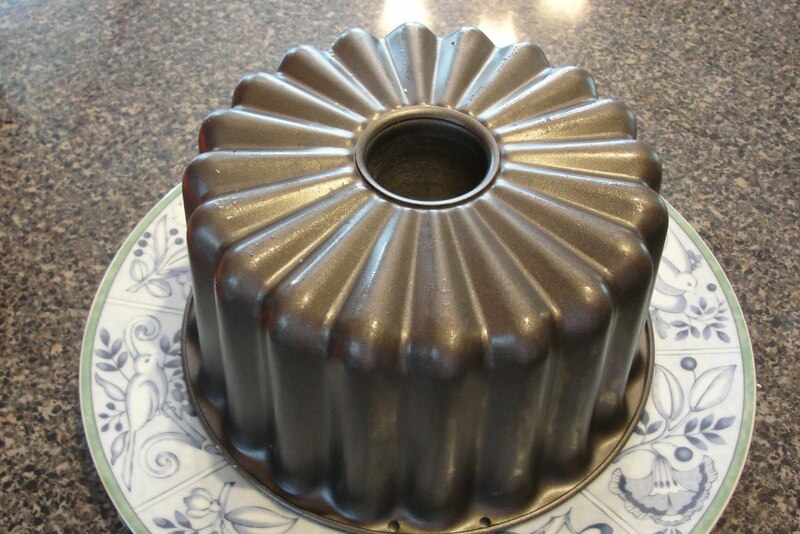 I borrowed a metal pudding mold that has a tight fitting lid, but you could easily just use a glass or porcelain bowl covered with parchment and wrapped with kitchen twine. I steamed it in my crock pot, but again, if you don’t have one, a nice big pot on the stove with a rack in it would be just fine. 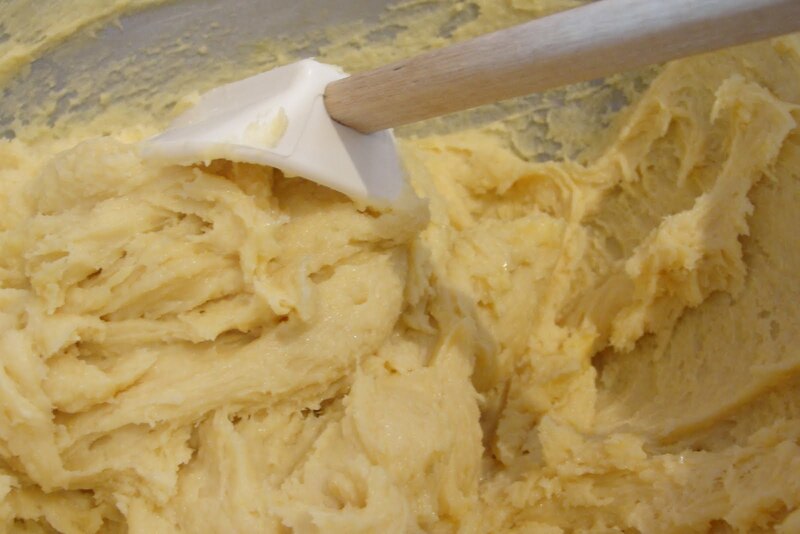 All together, it took exactly 3 minutes to whip up the batter and 2 1/2 hours to steam it on high. 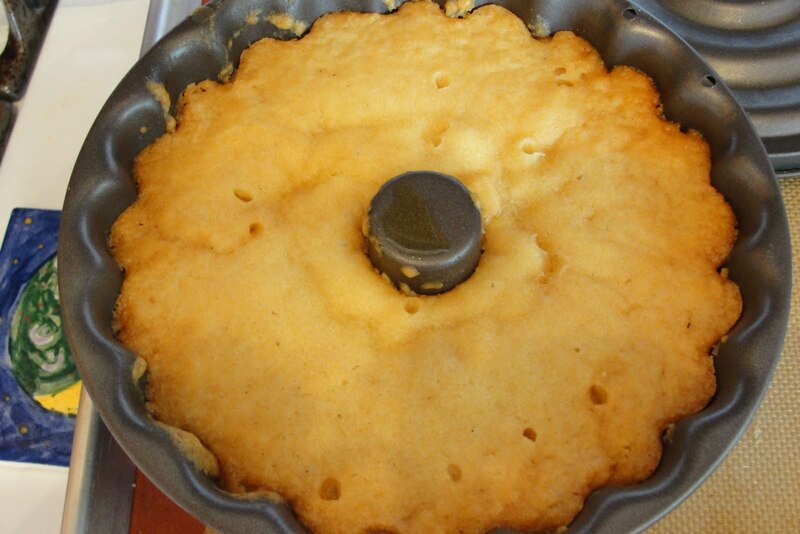 The result: a moist sponge cake with a golden syrup topping. Delicious! I’m definitely going to make a savory version soon, and will post those results separately. This was a great challenge and I can’t wait to try cooking more with this method. Take a peak at the Daring Kitchen to see the creative dishes that the other Daring Cooks came up with! Thanks Esther – this was so much fun! ***These pictures were all taken by Ava…not too shabby for a 5 year old! Ava took all those pictures?? She has quite an eye, that girl! 🙂 Love your pudding. I am definitely glad I did this challenge, even though I didn't use the suet, either. 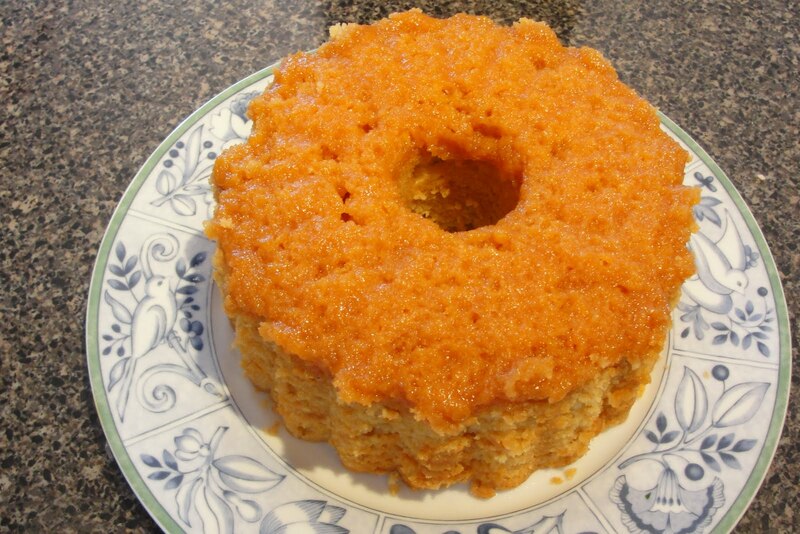 I may "borrow" some other recipes from you to try some other variations on this one. 🙂 Awesome job, mama! Your challenge turned out beautiful! Well done :). Your pudding looks super light and fluffy. Sometimes it's best to make something simple, rather than too complicated, I guess you showed that in the outcome of your pudding. WOW that is moist light and fluffy well done and that pudding bowl is super (I'm a little envious) and so glad that simple was best for this recipe and I just adore golden syrup. Wondrous photos. Cheers from Audax in Sydney Australia. 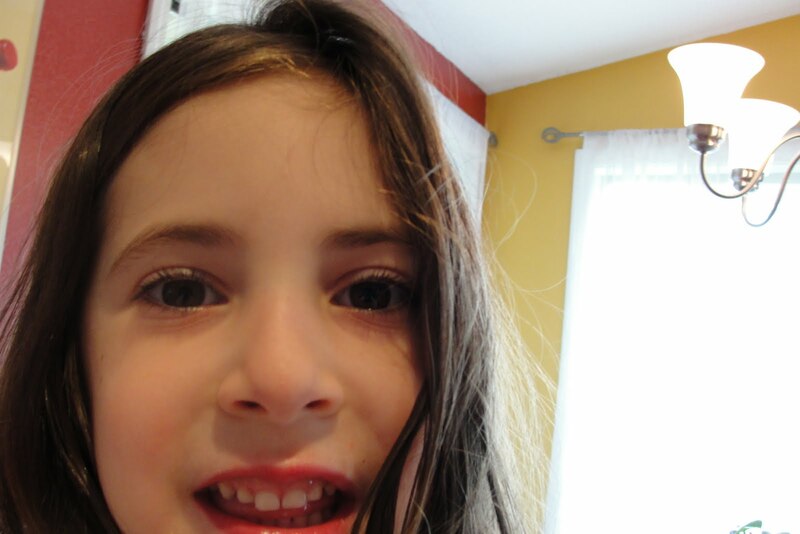 Photographer Ava… you're talented! The pudding is amazing! The mold is so nice! Well done! Why would you consider this a moderately completed challenge? I would consider this fully completed. It looks great! 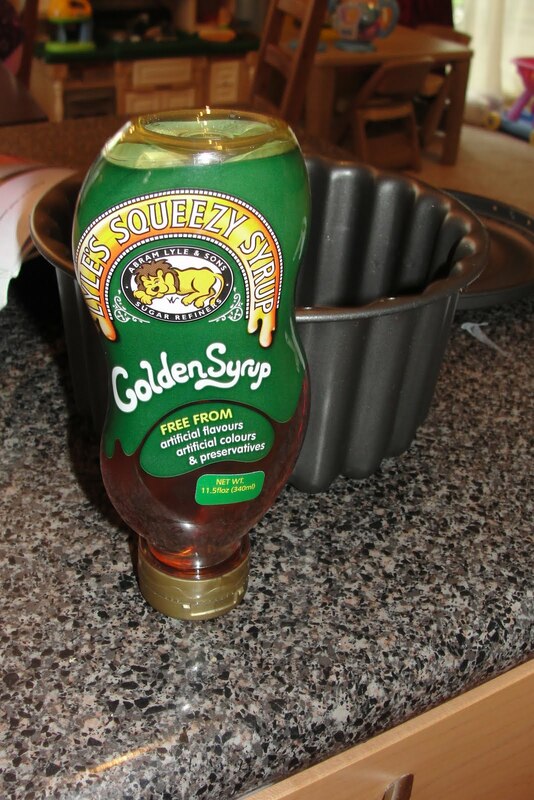 I've never used golden syrup and have just recently been introduced to it in these postings. And great job on the photography, Ava! Gorgeous! 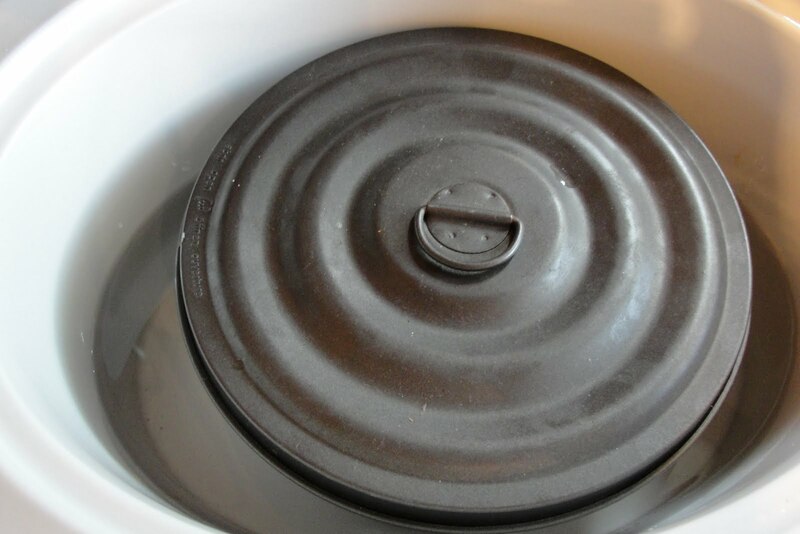 Love how you steamed the pudding in a fluted pan. Looks delish. Pudding and pan both look amazing!! The young lady is very talented – great photos! !